At SouthSmoke.com, we know that the shisha you smoke is just as important as the hookah you use to smoke it. And if you are going to get the most from that sweet shisha, you're going to need to know how to heat hookah coals correctly. We are pleased to offer you some of the highest quality hookah charcoal on the market to meet your needs and ensure an awesome smoke session with your favorite hookah! Heat Up with Natural Hookah Charcoal from SouthSmoke.com We specialize in offering a wide variety of natural hookah coals to suit all types of smokers. Our natural wood coals are some of the finest available anywhere on the market. Many natural hookah charcoals are made from lemon wood trees. (Coconut coals are growing more popular, but more on that later!) Wood hookah coal is great for smoking hookah over long periods of time, as they take several minutes to heat. Wood hookah charcoal offers you a natural way to smoke your herbal shisha or tobacco. When you want to have an authentic smoke experience in your own home, these traditional wood hookah coals are hard to beat. 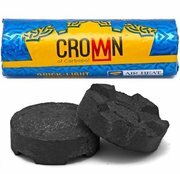 We also carry a variety of exotic coconut charcoal offerings for your hookah. This type of shisha coal is gaining serious recognition as one of the hottest new ways to smoke hookah! Coconut charcoal is a great hookah charcoal alternative because they don't need to be ashed off or rotated on the bowl. They are made from ultra-fine ground coconut shells to give you a long-lasting, even smoke, and their unique shape allows for ultimate and continued stoke throughout your smoke. Top brands such as CocoNara and Starbuzz's CocoBuzz are leading the coconut coal revolution. This is a unique hookah coal that you should experience at least once in your lifetime. Many of our customers have tried coconut coals and have never gone back! Want a Fast Smoke Session? Use Quick Lighting Hookah Coals! 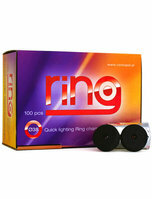 We have a huge selection of quick lighting hookah charcoals for you to choose from. 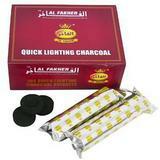 If you are in need of a faster-starting smoking session, quick lighting hookah coal products are what you need! 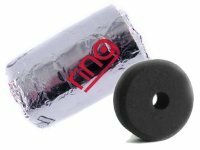 This type of hookah coal is perfect for hookah smokers on the go. 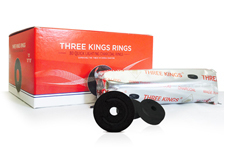 We are proud to carry Three Kings Charcoal, which many consider to be the original quick lighting hookah charcoal brand on the market. 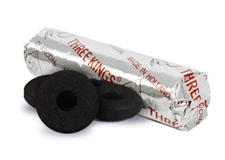 This hookah coal comes direct from Holland and is known worldwide for its quality. It is odorless as well as tasteless, and therefore do not interfere with your hookah flavors. This is exactly how a top quality quick lighting hookah charcoal should be! Many have found plenty to like among our other quick lighting hookah coal brands. Al-Fakher and Miraculum charcoal are household names among hookah smokers, offering you dependable brand-name quality to your quick lighting shisha charcoal. Depending on whether you are using natural or quick light hookah charcoal, you need to know how to light hookah coals property. We recommend making your smoke session easier by using one of our convenient hookah accessories. Quick lighting hookah coals can work find with a disposable lighter, but if you want more efficiency from your coals you'll want to grab a torch lighter. These trendy accessories can ignite quick lighting hookah charcoal with ease. For longer-burning coals such as wood hookah coals or coconut hookah coals, you'll want to use an electric coal burner. We have several electric burner options for you to choose from that can apply an even heat to your high quality hookah coal products. 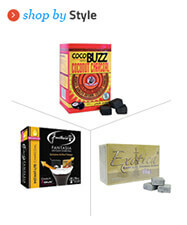 Our wide variety of hookah charcoal is sure to suit the needs of all hookah smokers. Whether you prefer to smoke quickly of quick lighting hookah coals or enjoy the slower burn of CocoNara coconut hookah coals, we've got just the shisha charcoal you need for your next hookah session.